Bureau van Buiten is an independent consultancy specialising in development and implementation for the healthcare sector in the Netherlands. With the logo as a given, I worked into designing a ‘no frills, no fuss’ website and complimenting stationery set. 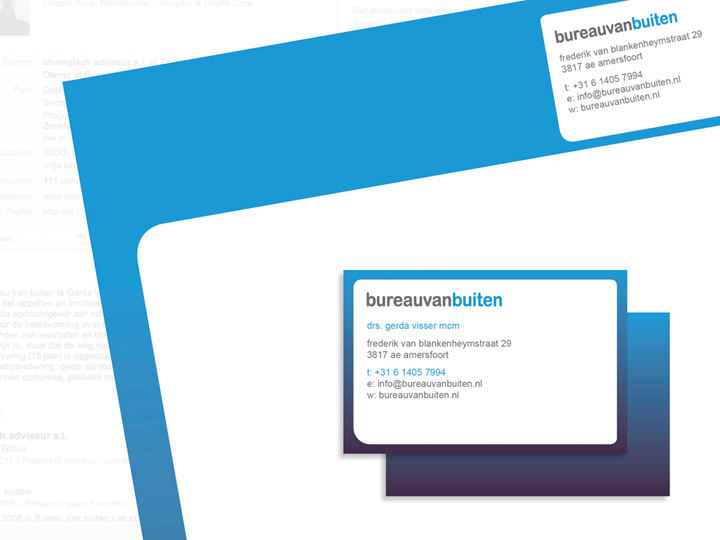 The websites gradual transcending background colour represents Bureau van Buiten’s ability to adapt and change to individual client needs. 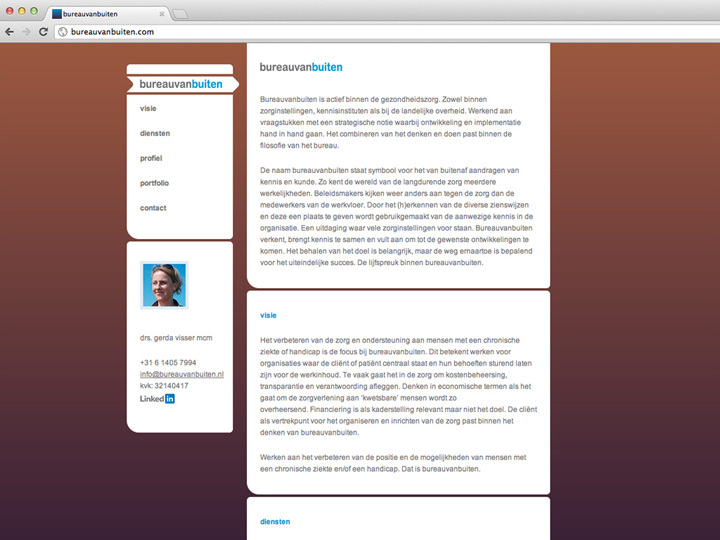 The central content navigation and menu bar move accordingly with scrolling and is represented with an indented menu bar. Work produced at Artmiks.